This summer, the Supreme Court will decide whether Congress violated the Constitution when it enacted the Patient Protection and Affordable Care Act, which contains an “individual mandate” requiring virtually every American to purchase health insurance. Based on the Constitution’s text and structure, and judicial interpretations of the relevant provisions, the mandate should be struck down. Pennsylvania is one of 26 states to have attacked the ACA’s constitutionality. They seek to uphold the Constitution’s basic division of power between the national government and state governments. Given that background, the states’ argument against ACA is simple: Even under the broadest interpretation, Congress’ enumerated powers do not authorize a federal law that forces individuals to purchase health insurance. ACA’s defenders argue that Congress’ authority to impose the mandate is granted by any of three constitutional provisions: the Commerce Clause, the Necessary and Proper Clause, or the Taxing Clause. However, under the original understanding of those provisions and the more expansive interpretation given to them by the Supreme Court in recent decades, the mandate is an unprecedented assertion of federal control that violates the framers’ constitutional design. Under the Commerce Clause, Congress may regulate interstate commerce. As originally understood, “interstate commerce” meant cross-border trade or exchange, as distinguished from other types of business activity such as manufacturing and agriculture. 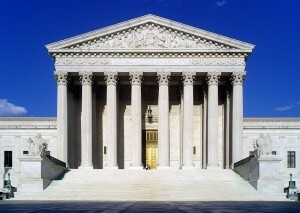 Subsequent Supreme Court decisions have expanded the term to include instances of intrastate “economic activity” if that activity, “viewed in the aggregate, substantially affects” interstate commerce. ACA’s defenders argue that the law regulates economic activity with a substantial effect on interstate commerce, namely the manner in which individuals insure against their future purchase of healthcare services. But the individual mandate does not regulate anyone’s ongoing activity—those who are subject to it are strangers to the insurance market. Rather, the law compels inactive, nonparticipants in the health insurance market to purchase insurance so they can then be regulated. As Congress itself said in the ACA, the mandate purports to regulate each individual’s “economic and financial decision” whether to purchase health insurance. But if that is a valid exercise of Commerce Clause power, then there is literally no end to Congress’ power over individuals. Congress could require people to buy a car because refraining from doing so is an “economic decision” substantially affecting the automobile industry. Congress could require us to purchase a television or a computer because engaging in quiet reflection rather than watching TV or surfing the Internet is an “economic decision” that substantially affects national markets for entertainment and communication. The possibilities are endless, and these examples are not mere hyperbole. In the case on appeal to the Supreme Court, the federal government could not identify any mandate to purchase a product or service that would be unconstitutional under this elastic interpretation of the Commerce Clause. ACA’s defenders also argue that the mandate is supported by the Necessary and Proper Clause, which gives Congress wide latitude to determine what laws are necessary for the implementation of Congress’ enumerated powers. Specifically, the mandate is allegedly necessary to allow for other regulations and price controls (such as a ban on considering pre-existing conditions) that otherwise render the law unworkable and threaten to destroy the health insurance market. The problem with this argument is that the individual mandate is neither “necessary” nor “proper.” A law is not “proper” if it depends on a constitutional theory that gives Congress unbounded discretion to legislate in areas traditionally reserved to the states. And a law is not “necessary” unless it carries into execution another enumerated power, such as the power to regulate interstate commerce. The ACA flunks both of these tests. Rather than enabling the exercise of an enumerated power, the mandate compels individuals to buy insurance in an attempt to suppress the ruinous effects of ACA’s other provisions. Don’t expect the Supreme Court to ignore constitutional limitations just because Congress claims an unenumerated power to offset regulatory burdens created by its own statute. Finally, ACA’s defenders argue that even if the individual mandate is not supported by the Commerce Clause or the Necessary and Proper Clause, it is nevertheless constitutional because it is a tax. For example, the penalty for noncompliance is calculated as a percentage of household income for income tax purposes, and it is self-declared on the taxpayer’s income tax return. Congress foreclosed this argument by separating the individual mandate from the penalty. The mandate itself offends the constitutional separation of powers; it cannot be saved by pointing to a penalty for noncompliance. In any event, the monetary fine was deliberately structured as a “penalty” and not as a “tax.” Congress could have provided health insurance for all Americans by invoking its Article I power “[t]o lay and collect Taxes,” but following President Barack Obama’s lead, it refused to do so for political reasons. The federal government’s Taxing Clause argument has been rejected by every court that has reviewed the ACA, and the Supreme Court is not likely to adopt it, either. Nor should it. David J. Porter, J.D., is an attorney with Buchanan Ingersoll & Rooney PC, a trustee of Grove City College, and a contributor to The Center for Vision & Values. The opinions expressed by the author are his own and do not necessarily reflect those of Grove City College, its Board of Trustees, or his firm. Take Good Care of Your Health Care Records — Or the Government Will!